Marc Halbfinger, PCCW Global CEO, was present at this year’s BroadcastAsia event held in conjunction with CommunicAsia and EnterpriseIT in Singapore. Speaking to Telecom Review, he discussed PCCW Global’s international activities, and its unique role in enabling service providers and content providers with flexible approaches to capital infrastructure and quality of service (QoS). Hong Kong-based PCCW Global offers the latest video, voice and data solutions to multi-national enterprises and communication service providers. With a portfolio spanning cloud computing, security services, network, unified communications and media, PCCW Global has developed into a leading provider for best in class performance based on leading edge, next-generation network design, and software management tools that facilitate flexible usage. 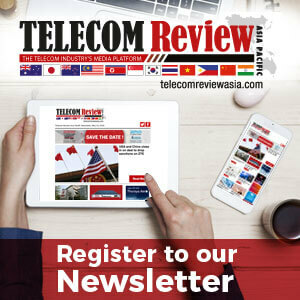 PCCW Global holds a strong presence in Asia. Hong Kong and Singapore, as well as South Korea and Japan, have emerged as leaders of digital advancement in Asia, and PCCW Global has built strong ties with these technology and finance leading markets. 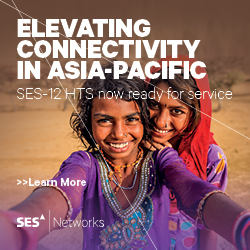 Marc believes that the undersea cable capacity bridge between Singapore and Hong Kong acts as the gateway between Southeast Asia and North Asia. He said that when you look at any network infrastructure that is developed regionally, you will often see a three-point infrastructure capability that will focus on Hong Kong, Singapore and Japan, and PCCW Global has always invested significantly in these locations to make sure that its network resilience in Asia (whether north, south, east, or west) is being provisioned correctly. When asked about PCCW Global’s role with Over-The-Top services (OTTs), Marc said you first have to define an OTT. He defines OTTs as applications, content, or any type of element that is attractive to an end-user delivered freely through a variable fee that is sitting on top of the capitalized fixed-network that is usually built by service providers. He said PCCW Global invests in core infrastructure, but also develops software-based tools to provide its end-users (whether consumers, content providers, service providers, or enterprisers) with the applications that get delivered over it. “Arguably, we are both a service provider and an OTT player,” he said. Marc stressed the importance of quality of service. He said that delivering quality, end-to-end, is something that OTTs may not see as a core offering, and that is something that he feels is necessary to do. “We can be both OTT, and also QoS (Quality of Service),” he said. PCCW Global has a range of services under the umbrella name of ‘Global Media’, which Marc said ranges from transcoding capability of content, to CDN delivery of infrastructure, content management systems, software tools that are necessary for the business-support systems of the revenue line for OTT content, operations support systems that are necessary for anything that has to happen in the editing of content, digital rights management, and most of the IT tools that sit on top of traditional network infrastructure capability as these move on more software optimized environments. He said that one of the major challenges of content providers today is that they have the content and own the rights to it, but may not have yet ascertained how they can get that content over-the-top efficiently and direct to an end-user, because they often don’t have the IT tools necessary to bill a customer directly, or may not have the analytics to measure which users are watching what content and under what conditions. PCCW Global can facilitate broadcast channels to go over-the-top of any network in any location around the world, provided the company has the rights capable to do it. Basically, it’s PCCW Global’s job to facilitate companies who want to build a brand beyond their local capability, and to give them all of the toolsets, including IT, hardware, and infrastructure to get to where they want to be. Covering a wide range of services, PCCW Global has ventured out into various projects this year, including collaboration with Keppel Data Centers Holding, and singing an international MoU to contribute to develop the Africa-1 subsea cable system. Marc also commented on the international MoU PCCW Global recently signed to connect the Middle East to Africa and Europe by means of collaboration among MTN Group, Saudi Telecom Company (STC), Telecom Egypt, and Telkom South Africa, to construct the new Africa-1 subsea cable system. The organizations named in the MoU represent a wealth of experience and expertise in deploying major cable systems, and they are expected to be joined in the consortium by other carriers seeking to contribute to and to share, in Africa-1’s success. 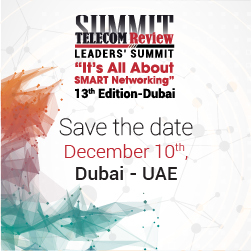 With large-scale projects underway and an ever-increasing profile, looking ahead, Marc said that PCCW Global’s ability to provide applications capabilities to service providers and content providers around the world that sit on top of the company’s physical network infrastructure, that delivers a global transmission backbone, was a sensible way to go, adding that the company is taking steps to also increase its human infrastructure in this space.